The Hawaiian is a fun twist on a standard Grecian pool shape. We open up this swimming pool to a wide set of shallow entry steps. These steps lead to a playful 6′ deep end and a dual set of ledge seats. 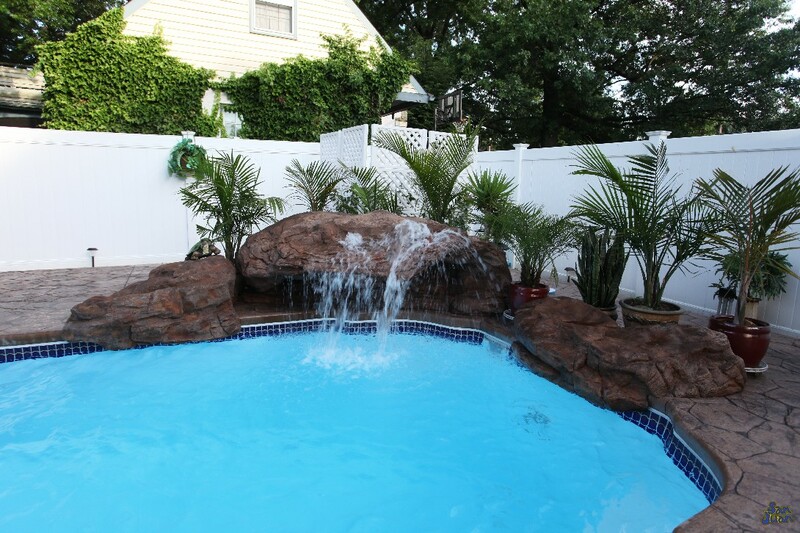 It’s a comfortable swimming pool that brings simplicity and fun to the home! Isn’t it time for us to return back to the simple roots of childhood? Those were the good old days! We longed for the hot days of summer and the opportunity to spend hours in the sun. At San Juan Pools, we’re pretty nostalgic. 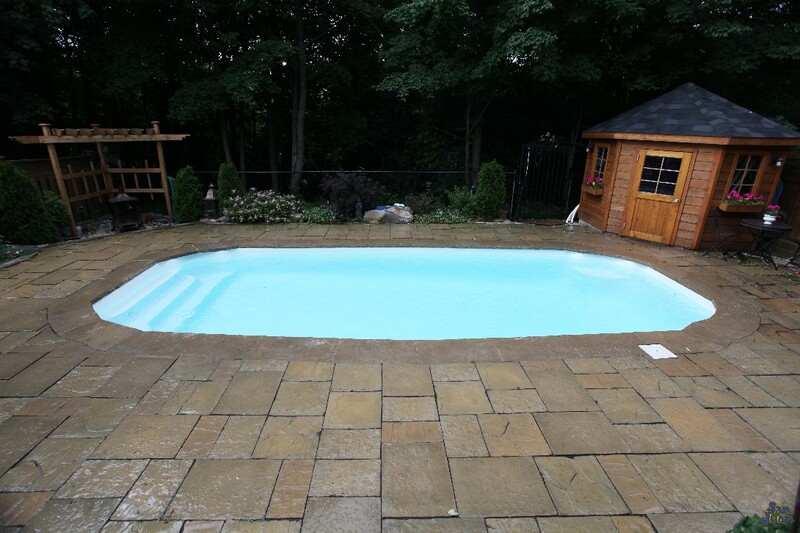 We help you relive your childhood with the introduction of the Hawaiian fiberglass pool! This beautiful swimming pool is designed with a simple and basic swimming model in mind. 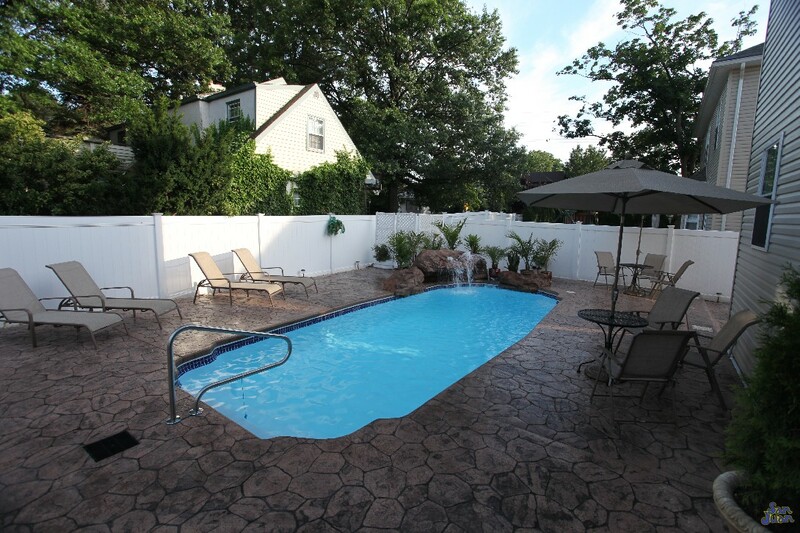 We present you with a 29′ long swimming pool that stretches 12′ 10″ wide. The concept here is swimming! It’s a medium sized body of water that leaves plenty of room for swimming. It’s tempting to venture out into the deep end for a nice dip and then a calm return to the shallow end steps. 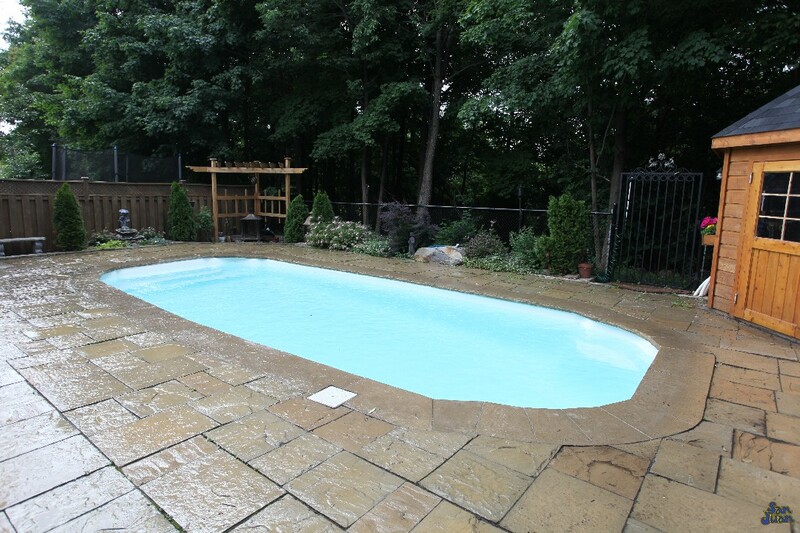 As we mentioned above, the Hawaiian is a Grecian pool shape based on a simplistic pool design. Grecian swimming pools are essential rectangles with extended ends; typically the ends are perfect locations for steps or deep ends. The Hawaiian is very similar to the Caesar’s Palace or the Dolphin. However, rather than provide shallow end entry steps on both ends, the Hawaiian packs a conservative 6′ deep end. Secondly, we add in a convenient set of dual deep end benches. This provides a comfortable area to rest between deep end swim sessions. Although, not deep enough for diving, this is a perfect space for pool games and ring diving. 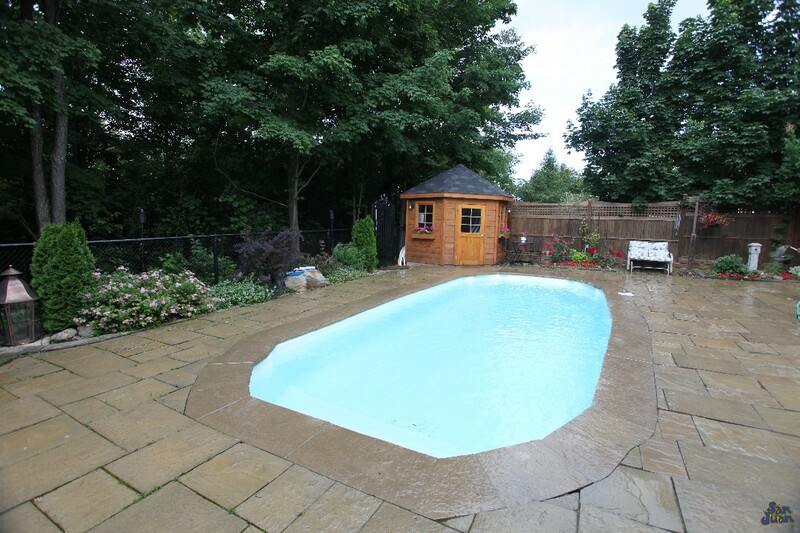 This pool shape is very popular for home owners that enjoy intermediate physical activity. The Hawaiian is sure to provide hours of entertainment and a cool environment to escape the summer heat. 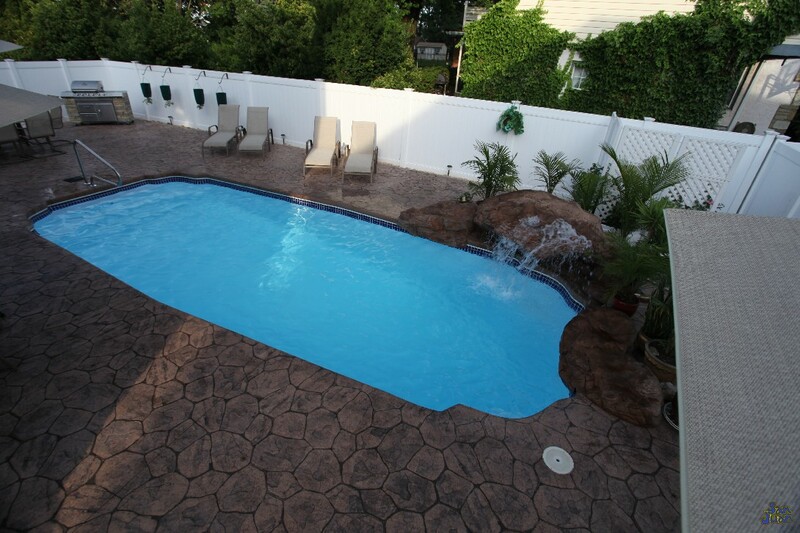 We’ve enjoyed adding this beautiful fiberglass pool to our San Juan Family and are sure you will too!